MYOB is a proud foundation partner of the SheStarts program. This is a guest post by Jane Betschel, Head Of Customer Marketing and Direct Sales at MYOB. Our SheStarts cohort were lucky enough to have Jane join them during the San Francisco part of their recent delegation to the USA. Below is a list of the key insights that Jane learned and experienced during her time with the Founders in the Valley. 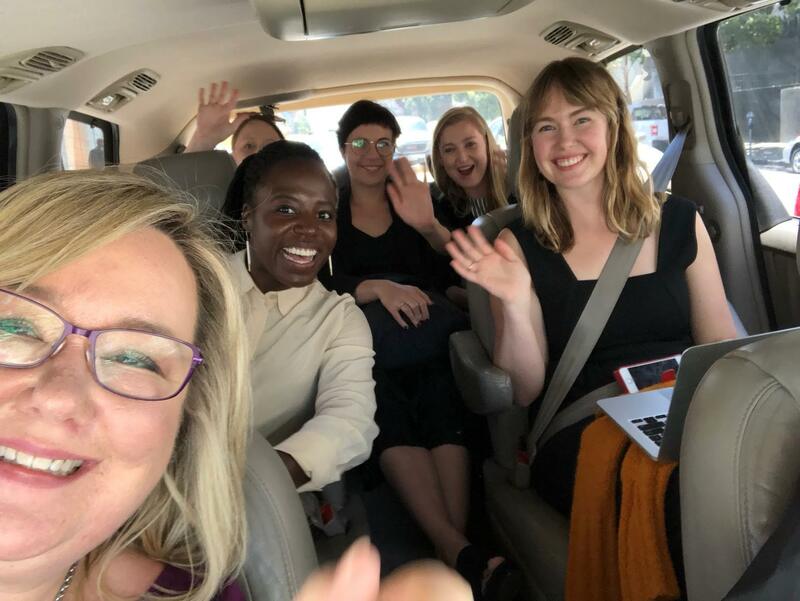 I recently spent a week in San Francisco and Silicon Valley with SheStarts team, including six female founders, a fellow partner/advisor from ANZ, and the camera crew who are filming for an upcoming SheStarts documentary. This trip is just one element of a fantastic program in partnership with BlueChilli, MYOB, ANZ, LinkedIn and Microsoft (and now Google for Entrepreneurs) that aims to accelerate female founders into entrepreneurship. There is still a huge under-representation of women in startups. We met some of the team from Crunchbase and their latest research says only 17% of startups have at least one female founder. Even worse, less than 5% of venture capital funding is going to women. I have been a fan of the SheStarts program from the initial bootcamp in Sydney, and have since been involved with the pitches, the MVP process and the demo days. When women get beside and behind other women it can be very powerful and in a time when you are highly vulnerable to set backs and confidence killers, it is critical. 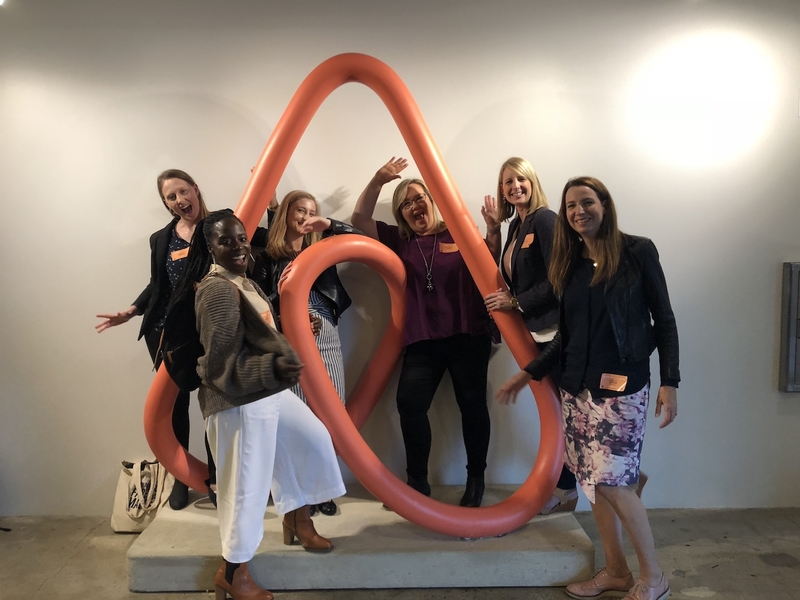 Nicola Hazell and the SheStarts team set up an amazing number and calibre of visits to leading tech companies and key members of the startup ecosystem including investors and media. Our learning’s stretched from recruiting your startup team, UX design, how to raise funding, product development processes and of course, to the all important of employee perks. We were in the epicenter of tech startups where everyone you meet has an amazing growth story of their own. We were surrounded by unicorn businesses, from Google to AirBnB. We met people that work for LinkedIn, invested in Uber, or maybe they just raised $40M Series B funding (gulp). Everyone you meet is “crushing it” in some way, and in that environment it’s easy to get overwhelmed or feel out of place. We often would take the time to share our experiences with one another during travel or over a meal which provided a chance reflect about what we heard and put it in context. These founders have only been working on their ideas for around 6 months, and often needed to remind each other of the ways they are “crushing it” already. 6 founders in an Uber X/L. It’s a great place to download and pump each other up. During the trip the founders got a lot of feedback on their business ideas and their pitches. Being non-tech female founders in Silicon Valley, it’s a challenge to find the right balance of trying to improve, but not killing confidence in yourself or your idea. I recall a conversation with one of the founders where she was feeling overwhelmed at the volume of varied feedback. However, she was the one that came up with the idea that: she is the expert, it’s just feedback. You can take what helps and keep true to your vision. All the women on the trip would keep reminding each other of how far they have come and to keep going. I love the optimism of Silicon Valley, so many people looking for ways to do things better. So many smiling people ready to espouse the virtues of the place of work. I’m not just talking about the free lunches cooked by a top chef, or the yoga classes or the meeting rooms designed to look like your lounge room. These are all great perks, but also show the level of commitment and work expected to deliver the expected results. The work involved includes getting the traction that a venture capitalist will expect from their investment in your startup. It was great to talk with the women on the trip about whether they want to get traditional venture capital investment, or social impact investment. Getting startup investment certainly isn’t for everyone. Sometimes we don’t know how great we are until we have the opportunity. During our week, even though there were plenty of moments where the women felt outside their comfort zones, they all rose to the challenge and then went a little further still. To see them pitching to major investors was an inspiration. The mission of the SheStarts program attracts lots of women that want to help. These people help coach and mentor the founders, and offer to set up meetings and introductions. If someone offers to help, take them up on it straight away. This trip was a fantastic boost to the founders and to me personally. I was blown away by the generosity of everyone involved, and inspired in the belief that there really has never been a better time for female entrepreneurs to take risks and make a big impact on the world. Don’t sit on opportunities for days, or weeks. The time is now, jump on them right away! We’d like to extend a massive thank you to Jane from MYOB for sharing these insights with us. Jane has been a fierce supporter and friend of SheStarts from the very beginning and we continue to be blown away by her generosity in working with our Founders to achieve their very best.